Looking for an unique experience for groups in Rotorua? Here are the most popular options available for staff team building or Christmas parties. Looking for something fun, exciting, or unique for your group to do in Rotorua? A wide range of group activities are available for staff team building, Christmas parties, families reunions or just a day out with friends. Here are the most popular group activities which will show your group the best of Rotorua. Rotorua’s forests are a real favourite with adventure seekers, particularly mountain bikers who travel from all over the world to experience Rotorua’s 100km+ network of world class MTB trails. Those looking for a less strenuous group activity will want to check out Rotorua Canopy Tours. The three hour eco-adventure will have you zipping and zooming around their 1.2km network of zip lines, swing bridges and treetop platforms through untouched ancient New Zealand rainforest. Being a new experience for most people, Rotorua Canopy Tours is an adventure best shared with friends, team mates or colleagues. On and off the water you have so many options for fun and excitement at the many magnificent and beautiful lakes that surround the Rotorua region. The tranquillity of the lakes mean they are perfect for enjoying a group picnic or BBQ dinner right on the water edge. 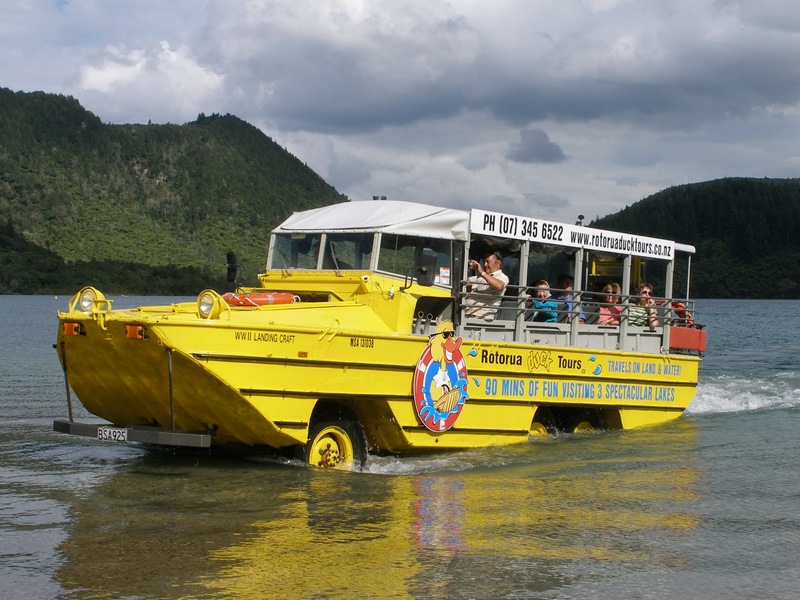 Rotorua Duck Tours offers informative and fun daily tours through the city and out on to the lakes. They also offer customised group tours in Rotorua that will allow your group to see the best sights and sounds around town, there are even options to include a BBQ picnic on the edge of the lake. Traditional Maori culture is always proudly on display and enjoying a traditional Hangi meal is a must do experience for all visitors to Rotorua. A Maori cultural experience and meal is an excellent option for a group activity in Rotorua. Tamaki Maori Village make a traditional Maori cultural experience accessible and enjoyable for groups of all types and sizes. An evening here includes traditional song, dance, friendship, and great food. The added bonus of learning the Haka (a fearsome Maori war dance) will be something your group will remember forever.